We are successfully leveraging the versatility and flexibility of our proprietary technology platform to build a robust portfolio of high-value, non-animal, functional, and sustainably-sourced ingredients. The first family of ingredient products currently being commercialized include the emollient squalane for the personal care market, Vitamin D2 for the human nutrition market, and several unique oil products also for the personal care and nutrition markets. Our high purity squalane offers the market a new, sustainably-sourced, high performance squalane. It is the clear choice as a stand-alone active, or as the critical component for any squalane-based formulation. Currently, squalane is sourced from the livers of deep sea sharks or as a byproduct of olive oil processing. These sources present challenges in regards to both sustainability and environmental responsibility. Nucelis squalane offers our customers access to this highly valued emollient without the negative environmental impact. 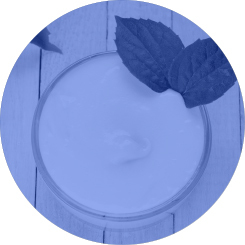 Nucelis squalane provides the market with a natural, sustainable, and environmentally friendly source that exceeds the purity of all other sources. Because it is made in a controlled fermentation process, we can guarantee supply at any volumes our customers require with supply chain reliability not offered by other sources. 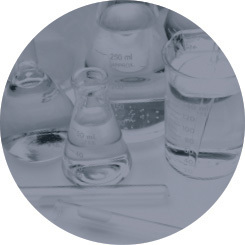 Our squalane offers unparalleled performance in a wide variety of formulations. It is completely odorless, water white, and contains no significant impurities. It absorbs rapidly into the skin, and leaves behind a silky, smooth feel that is not greasy or sticky. Commercial samples of our squalane are currently available upon request. Helps to prevent collagen/elastin breakdown. Nucelis has developed a new and highly pure source of Vitamin D2 (ergocalciferol) for use in the human nutrition and functional foods markets. Our Vitamin D2 provides the market with a sustainable, non-animal, and environmentally friendly source that is equal to, or in some cases exceeds, the purity and performance of other sources. Nucelis Vitamin D2 is developed using a completely vegan and vegetarian friendly process. Unlike the production of Vitamin D3, the Nucelis process does not rely on the use of animal oils. This makes Nucelis Vitamin D particularly valuable to customers who operate in markets sensitive to the use of products derived from animals and markets where origin and supply chain practices are increasingly transparent. Nucelis Vitamin D is of the highest purity and quality suitable for the betterment of human and animal nutrition. Nucelis Vitamin D is manufactured through advanced fermentation using our proprietary, non-transgenic technology providing the market with a sustainable and environmentally friendly source. Nucelis Vitamin D2 is made in a controlled fermentation process in combination with efficient downstream purification guaranteeing supply and cost stability at any volume target. Nucelis brings a new, highly pure source of GMO-free Vitamin D2 (ergocalciferol) to the nutritional and functional foods markets. The Nucelis technology for the production of Vitamin D2 is non-transgenic using a proprietary strain of the yeast Yarrowia lipolytica as a natural bio-catalyst to produce high quality ergosterol. The yeast has been produced using Nucelis’ unique suite of gene editing and metabolic engineering tools that mimic traditional non-GM plant breeding practices. The ergosterol produced by natural fermentation is then converted to highly pure Vitamin D2 by exposure to light in a process similar to the natural production of Vitamin D by the sun. 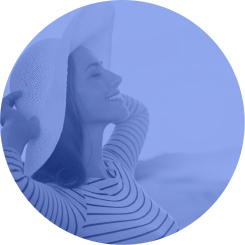 By combining the power of our technology platform with the use of non-food feedstocks and robust downstream processing capabilities, our highly efficient process allows Nucelis to offer Vitamin D2 to the market with unmatched purity, stable supply and consistent cost. As a result, Nucelis Vitamin D2 is the #1 choice for brands that demand sustainable and naturally-sourced ingredients of the highest quality. Commercial samples of Vitamin D2 are currently available upon request. Vitamin D2 has long been known to the medical community for its powerful benefits to human health. Yarrowia Oil - A unique mixture of triglycerides for the personal care market. Triglyceride Oil – A proprietary mixture of long chain triglycerides for use in the nutrition and personal care markets. Yarrowia Flour - A high protein cellular yeast extract for the nutrition and personal care markets. All Nucelis products are developed using our sustainable and controlled advanced fermentation process, and offer a reliable and stable supply for our customers. These products are high performing, non-transgenic, functional ingredients for personal care and nutritional formulations. The Yarrowia Oil is a natural emollient with demonstrated function in moisture barrier maintenance and repair. It is stabilized by the presence of powerful antioxidants. Our Yarrowia Flour is a valuable source of amino acids and proteins for use in nutritional and functional food formulations.